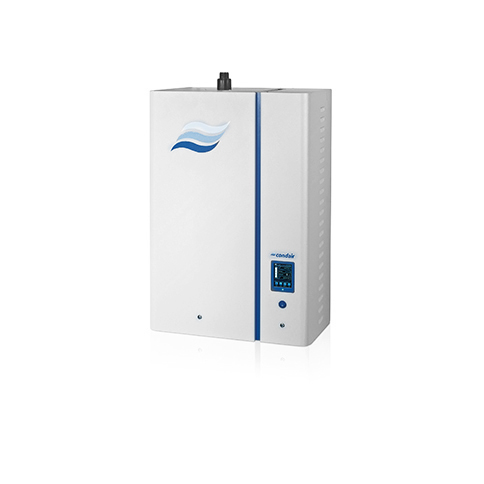 Condair EL is the latest generation of well-known steam humidifiers from Condair. 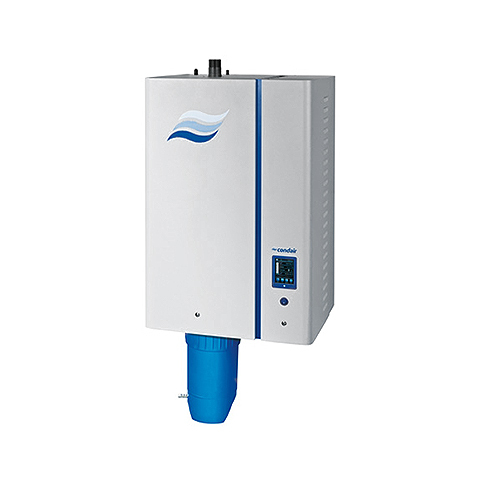 These products are the first choice whenever simple but reliable steam production is required. The CP3-mini also fits visually into any ambient: Where required, water and electricity can be supplied “invisibly” through the rear panel. 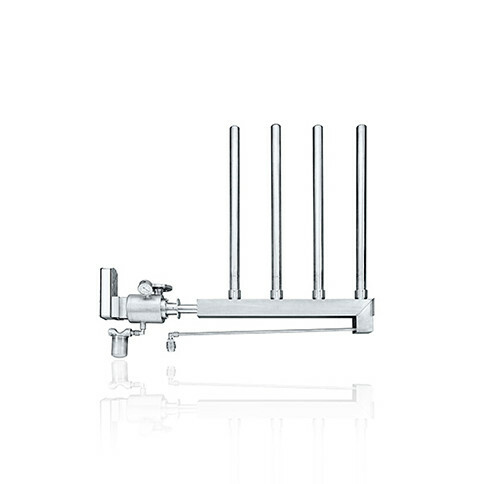 There’s no need to call technicians for maintenance, as strong emphasis was placed on simplicity and safety when this compact device was designed. The plastic steam cylinder can be replaced in a few steps and all live electronic parts are safely covered. Patented scale management removes the separated minerals from the steam cylinder during operation and automatically conveys them into the designated scale collecting tank. Scale deposits are thus continuously removed from the steam cylinder. The pieces of limescale are collected in an external scale collection tank and can easily be emptied from there. Maintenance work is significantly reduced and operational reliability is maximized. High efficiency made easy Thanks to technology certified by the German Technical and Scientific Association for Gas and Water (DVGW), chimneys are no longer required. Exhaust gas can be ducted directly via the exhaust air from the ventilation and air-conditioning system and the exhaust heat can be recovered through the heat recovery system. This offers significant benefits-installation is considerably easier, as a chimney is not required, and the energy contained in the exhaust gas is available to heat the building free of charge. Equipment technology tested by the DVGW. This design solution for routing exhaust gas has a patent pending and the DVGW examination certificate CE-0085CO0031 has been issued. In the Optisorp steam distribution system, steam is distributed across the entire duct cross-section by a number of distribution pipes fitted with a large number of nozzles. The steam absorption distance is up to 4 times shorter than with conventional steam distribution pipes. 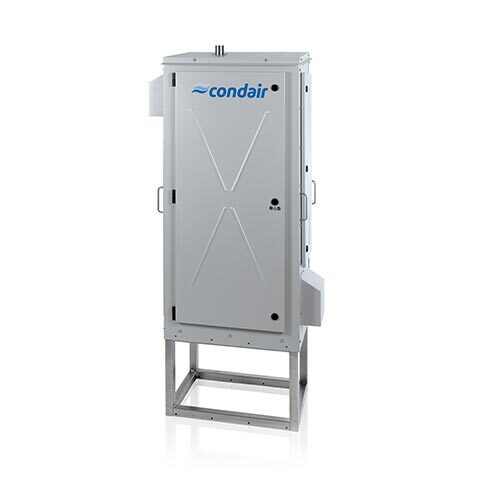 The Condair Optisorp is made exclusively from stainless steel and high-quality plastic, thus meeting the highest hygiene requirements. 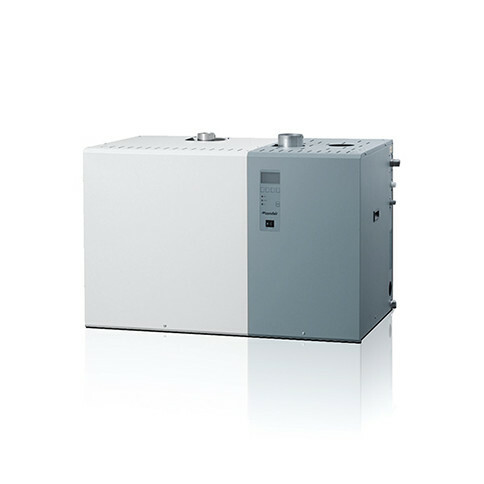 The Condair Esco steam distributions system are designed to deliver reliable humidity from facility steam boilers. The patented ceramic valve closes so that it is completely tight and ensures that no steam enters the ventilation system, even when the system is switched off, and does this completely without any additional shut-off device. 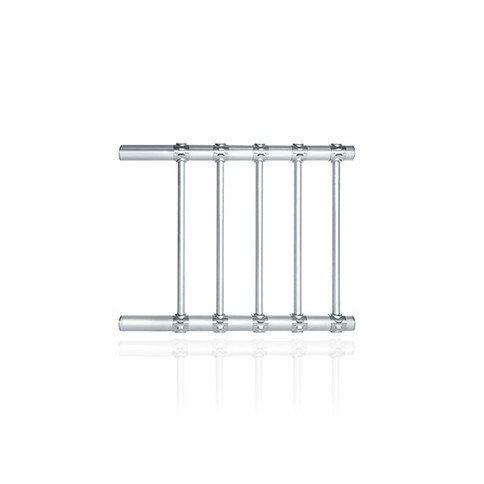 The functional elements are fully integrated into it, in a design that guarantees fault-free steam connection. There is no need for complex seals or pipework. It is therefore possible to calculate the cost of installation, which can be completed quickly and cost-effectively. 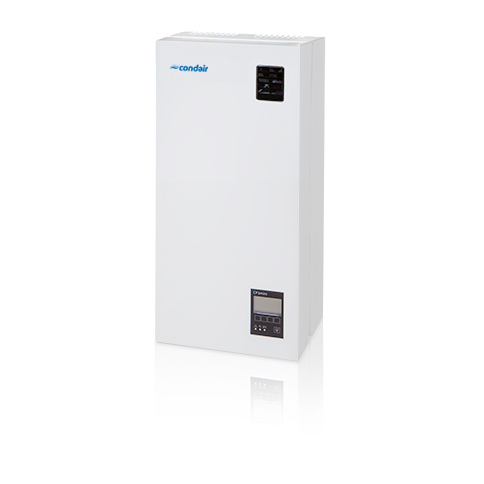 Condair EL steam humidifier with BlowerPack for direct-room humidification. The fan can easily be attached and installed on the humidifier itself. It is available in two versions, for 5–15 kg/h and 16–45 kg/h. 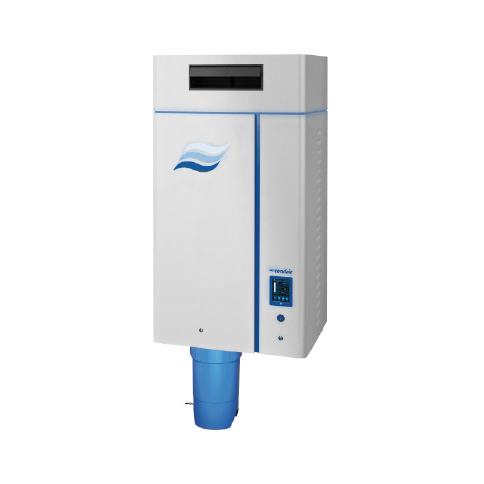 Condair RS steam humidifier with BlowerPack for direct-room humidification. The fan can easily be attached and installed on the humidifier itself. 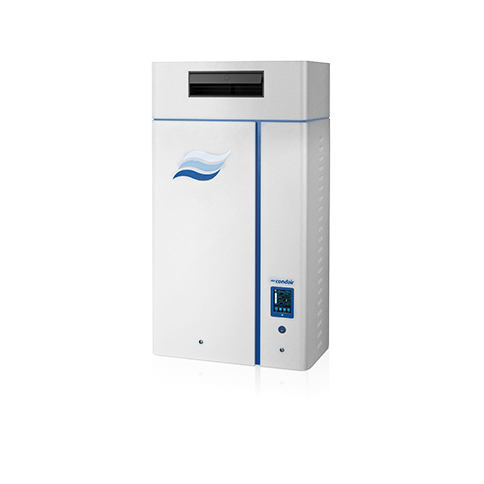 Steam humidifier Condair RS with a robust weather-proof cabinet for outdoor installation. The Condair RS OC has been designed according the most recent state of technology and is complying with the requirements of all relevant European guidelines and safety standards.